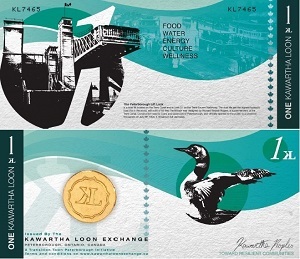 The Kawartha Loon Exchange is the governing body for Kawartha Loons, a local currency based in Peterborough Ontario. A Banking Agent is a credit union or bank that has agreed to exchange Kawartha Loons for Canadian dollars and vice versa. 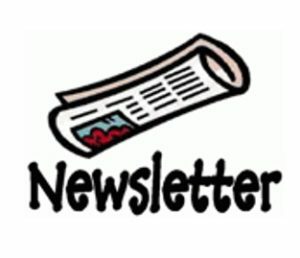 Only the branch addresses listed on this site will exchange Kawartha Loons not all locations will accept them. Kawartha Loons are purchased and redeemed at banking agent locations. The Kawartha Loon Exchange will not exchange Kawartha Loons. Members are not required to exchange them except in the normal course of a purchase. Likewise the Kawartha Loon Exchange doesn’t carry Kawartha Loons — we only accept them in payment. 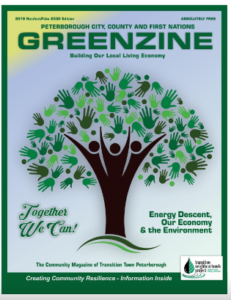 Like all local currencies Kawartha Loons are not legal tender and no one is legally obliged to receive them in payment unless they have previously agreed to, such as members. Peterborough Community Savings for the moment is the sole banking agent, more are coming. All Canadian dollars collected from the purchase of Kawartha Loons are put in accounts collectively known as the reserve. Our agreements with the banking agents state that 100% of the reserve as measured by circulating Kawartha Loons will remain in reserve accounts ensuring anyone going to a banking agent to redeem their Kawartha Loons will have the confidence they will have them exchanged for Canadian dollars. Peterborough Community Savings will act as the central banking agent where the majority of the reserve of Canadian dollars are held. Unlike major banks a credit union functions by using the funds deposited into accounts held there to invest in the local community. This means holding the reserve accounts at Peterborough Community Savings will make those funds work for our community. At this time banking agents don’t offer accounts denominated in Kawartha Loons to members or the general public. For more flexibility in purchasing Kawartha Loons the Exchange has made agreements with sever local members. Kawartha Loon Stations are member locations, usually a retail store that offers Kawartha Loons for purchase from the public. This offer is only during regular store hours and is at the regular 10% discount. If you desire large amounts please give 24 hours notice. For these large amounts, keep in mind they get their Loons from the Peterborough Community Savings which isn’t open Saturdays or Sundays. Click here to find out where you an spend them!